← “Girlifying” Engineering: A Failed Tactic? Here at European Springs and Pressings Ltd, we&apos;re very proud to be a sister company of Lesjöfors, one of the most accomplished international spring manufacturers of all, and we&apos;re always pleased to celebrate the ways that our springs are used around the world. Recently, Lesjöfors have been acclaimed as the creator of springs for a brand new high-performance Volvo, and this is just the latest in a series of automotive developments that we&apos;ve been mutually involved in. High-standard components are always needed to impart the required specifications to performance vehicles, and the new Volvo S60/V60 Polestar definitely needs such premium springs. That&apos;s exactly why Volvo approached Lesjöfors, as the latter company – and indeed European Springs as a whole – has a wealth of experience when it comes to the automotive sector. Tension springs, stampings and pressings are all widely used in this industry, and high-tech solutions are frequently required. The Polestar vehicles represent a fresh-faced new &apos;speciality&apos; car from Volvo, and they&apos;re intended to be equally suited to either driving around on everyday duties or pounding across the barren arctic tundra. 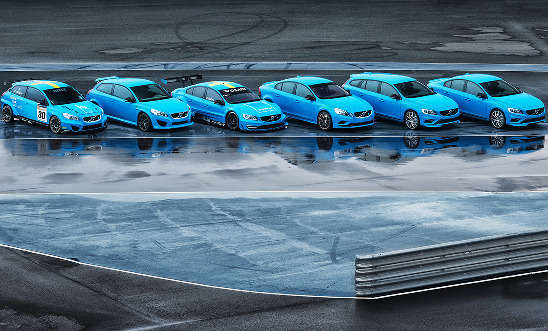 Undoubtedly built as a racer, yet still very comfortable to drive, the Polestar isn&apos;t going to be widely available at present – outside of the limited environment surrounding its use as a racing vehicle, of course – but it&apos;s definitely a very impressive vehicle. As is often the case in the automotive sector, the very highest quality springs are required for the suspension systems, as it&apos;s the suspension in a car that absorbs all of the unwanted impact as the vehicle is in motion. Suspension also serves to improve the handling of the car – especially when it&apos;s cornering – and it&apos;s fair to say that both comfort and safety owe a lot to the humble suspension system. Effective suspension is even more vital to racing vehicles, as the tolerances that such cars must operate within are exceptionally fine. According to Engineering Capacity, this could well be the start of a long-standing relationship between Lesjöfors and Volvo, and here at European Springs we&apos;ve certainly forged many successful partnerships over the years. If you have a need for springs and pressings, no matter whether this need lies within the automotive industry or not, then don&apos;t hesitate to contact us now by calling +44 (0) 208 663 1800 or sending an email to info.bec@europeansprings.com.